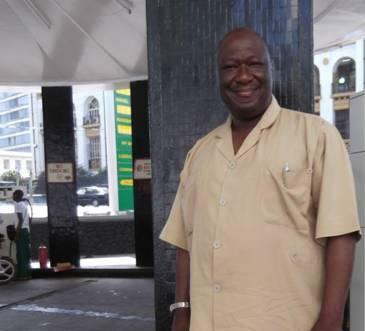 I am Ambassador Umaru Bundu Wurie (Photo), affectionately and widely known as “Bond Wurie”. I grew up in a working class family in Gbinti, a small town in the Dibia Chiefdom of Port Loko District in northern Sierra Leone. I graduated from Bo School, in the south of the country. With humility, yet with rugged determination and clear intention, I will be running for the leadership of the Sierra Leone People’s Party (SLPP), our nation’s proud Grand Old Party of “One Country, One People” fame and glory. I am asking for your support of my candidacy, which, if successful, will then accord me with the privilege and lifetime opportunity to be the SLPP candidate for the Presidency of our beloved Republic in the elections of 2018. I am currently a Grand Chief Patron of the Party, and have been fully active since 1996. I am proud to present myself to you and the nation. My campaign will be enlightened, thorough and responsible, and will address the many years of our country’s neglect, decline and lack of competitiveness, relative to other African countries and the world in general. I will identify and address the myriad of problems, constraints and general lack of perceptive and visionary governance that has kept our people in abject poverty and suffering for years. It is my hope and request, that throughout the course of my campaign you will join me in my determination to achieve the meaningful reforms that will ensure the resurgence and reclamation of our country’s once lofty fame and glory. As President, my government will work for all Sierra Leoneans, not against any. It shall create opportunity not just for those with money and influence, but for each and every Sierra Leonean who is willing to work for their own betterment, and that of their nation. I am a bridge builder, not a bridge burner. I have been addressing and solving our country’s problems since graduating from college in the USA in 1977. Over the intervening 38 years, I have never left the service of my country for greener pastures, despite receiving offers. I am not driven by love of money or its attendant luxuries, but solely by love for my mother country. I have served Sierra Leone under tents in bushes, fields and forests. I have walked miles to work in places unreachable by roads. Sometimes my only transportation options were canoes on the river. These challenges were endured without complaint and with the love of my country paramount in my considerations. Fellow Sierra Leoneans, may I remind you that national political contests are generally decided by the electability factor of a given party’s flag-bearer for national office. So my campaign is not just about winning the SLPP’s nomination for President, but one that looks ahead to winning the national election and bring our Party to governance. Being popular within a political party is important, but it is not a sufficient condition to win a national election, especially given the electoral map of Sierra Leone as it is today. The past two elections – 2007 and 2012, bear testimony to this perception. We must be sure to entrust our Party’s precious nomination to a candidate who is clearly electable, whose value is appreciated beyond our close concerns and resonates across the entire nation. I am the candidate who cuts across the delicate Sierra Leonean political landscape, with its ethnic and regional divisions. 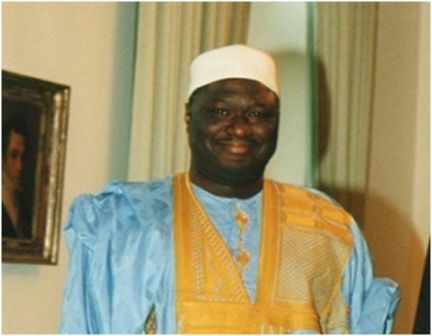 Coming from the large and influential, if silent, constituency – the Sierra Leone Civil Service, and coupled with the fact that I hail from, and have the support of a group which comprises a third of our country’s population, means that my candidature has a very solid base on which to build. My impeccable and unrivalled international experience in diplomacy, gives my candidature added breadth and exposure. From a fledging but insightful geologist in 1977, I rose in the ranks of the Civil Service to the position of Permanent Secretary, then Director General in the Ministry of Foreign Affairs and, later, Development Secretary in the Ministry of Finance and Economic Development. Internationally, I am known in the capitals of many countries around the world. I have served my country with distinction as High Commissioner to the Federal Republic of Nigeria, Ambassador to the Kingdom of Saudi Arabia and to Germany, with multiple accreditations to over 30 African and European nations. I have been the Permanent Representative of Sierra Leone to United Nations agencies in Austria, Germany, Italy and Switzerland. I was honored by the United Nations with an appointment as Deputy Humanitarian Coordinator in Iraq, equivalent to Deputy Special Representative of the United Nations Secretary General. A healthy by-product arising from my wealth of diplomatic experience both locally and internationally, is my having met, known and worked with thousands of people from all walks of life, throughout the length and breadth of Sierra Leone and beyond its borders. Serving and helping people seems to be my calling: it gives me deep pleasure and a raison d’être. People in Sierra Leone need no introduction to me. I am a “Man of the People”. Finally, as a measure of my commitment to my people and country, I recently decided to risk my personal safety, and also to postpone an overseas medical appointment, in order to be with and serve my people during the ebola epidemic. I visited affected areas around the country, providing urgently needed items such as food, drinking water, antiseptics, soap and much else, while participating in educating and sensitizing the population about the vital importance of complying with the directives and safety tips designed to prevent the spread of the ebola virus. Fellow Sierra Leoneans, I seek to present to you a highly-qualified, well-rounded candidate to lead the SLPP into the next presidential, parliamentary and local elections. And, with your help, solid support and guidance, we can together open a new page in the history of this superbly endowed nation of ours, and bring her back to her rightful place in the world community. God bless us all and long live Unity, Freedom and Justice in Sierra Leone. Together we can do it. Mr Bundu Wurie, your presentation sounds impressive on your intention to vie for flagbearership, paving the way to the presidency of Sierra Leone. The piece speaks volumes. But, my fear is that with all your impeccable political career and powerful positions you occupied in the past, our nation made no strides forward. On the contrary, the country is in shambles. Today, Sierra Leone is one of the worst nations in terms of human development. Mr Bundu, why has your service to the nation never contributed to the well-being of the Sierra Leone people with all the opportunity you have been given to do so? Now that things have gone so ugly in the country, I don’t think you can do better than what you couldn’t do in the past. Sierra Leone right now needs a pragmatic and sincere leader with character and strong common sense to put the country on track. Sierra Leoneans will not be moved by self praise and past glories of an individual that fetched no good to the nation. Ambassador Wurie your CV speaks volumes. Indeed you have occupied various public positions, and I assume you have done extremely well for yourself. However during your campaign tours and meeting of stakeholders and other party faithfuls, can you tell us – well me, what innovations and improvements you made in the lives of Sierra Leoneans living in the countries you performed your ambassadorial duties? Also what did your years of government positions, such as being an insightful geologist in 1977, your elevation through the ranks of the Civil Service to the position of Permanent Secretary, then Director General in the Ministry of Foreign Affairs and, later, Development Secretary in the Ministry of Finance and Economic Development? What did you bring to the government you served and what did you do to help our people during your tenure? You have played vital roles in our country and yet we see nothing for it. What were your successes? These are questions you should be thinking about. We don’t want another UN gimmick that fools the people about your (not just you) education and the positions you have held. I think I like this guy. It is refreshing for once, to see a candidate for the SLPP leadership fighting a clean campaign, presenting his credentials and intentions without attacking other candidates. The man is blowing his own trumpet rather than getting those brown envelope journalists in salone to do it for him. Well done Mr. Wurie, you have my vote. I look forward to listening to your interview with the editor of the Telegraph. Ambassador Wurie, I thank you very much for your presentation and letting me know about your existence for the first time, but blowing your own very horn to the extent you have done is just making me very suspicious about your suitability of becoming a true leader as you are claiming. Anyway, that is just my view about you and I think you are matured enough to take on board what my opinion says.